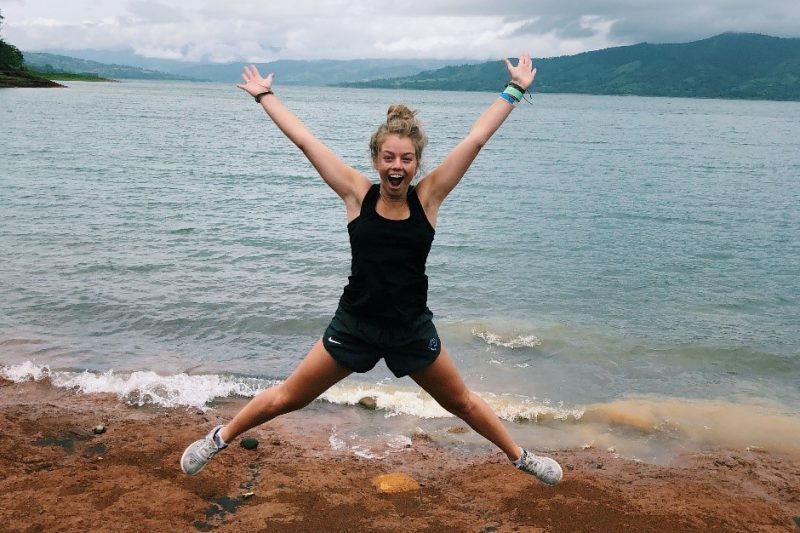 ‘Catapulted into a New Country’ After spending the summer teaching and exploring in Costa Rica, Taylor Casey '20 can't wait to return. In addition to my biology and Spanish majors, I’m also a Latin American and Caribbean Studies Minor. My eight-week summer experience counted for my minor, and I also earned 4 EXP credits for LACS 454. This summer I spent two months living in Nicoya, Costa Rica, with a host family in their sweet little home. I spent the first month taking a Spanish language class in the mornings and interning at a local elementary school in the afternoons. The professor-to-student ratio was 2:1, so my Spanish improved dramatically my first month in Nicoya. The second month I continued to work at my internship as well as further immerse myself into all that the incredible country of Costa Rica has to offer. 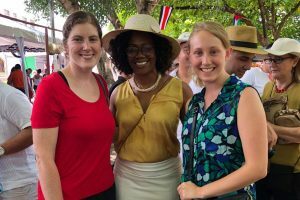 I was invited to MC an English festival, I became a natural member of my host family, and I traveled to almost every corner of Costa Rica making lots of friends along the way. I woke up every morning to our little rooster singing outside my window and the smell of whatever strangely magical breakfast my host mom was cooking up that morning floating into my room. During weekdays, I ate breakfast with my host mom and dad and then walked a few blocks to the school where I would learn all things Spanish and Costa Rica until noon. After lunch in town, I worked at the local elementary school until late afternoon. I helped in various ways at the school. I sat and watched the kids in the classrooms, helped students prepare for the English spelling bee, talked to the kids in a combination of English and Spanish, told them stories about the United States, and helped them with their schoolwork. I returned at the end of the day for a traditional time for coffee with my host parents, followed by dinner. Weekends were for exploring and adventuring, and I traveled from city to city to experience all of the stunning beaches, rain forests, volcanoes, and everything in between in beautiful Costa Rica. The most challenging aspect of the job was also one of the most admirable takeaways I brought back with me to the United States. The tranquilo lifestyle in Nicoya is beautiful, but it took getting used to in the workplace, at home, in town and while adventuring. Pura vida is really so much more than a two-word, eight-letter catchy slogan. It means stopping, relaxing and appreciating the life and beauty that always surrounds us. It is always there, but I never truly took full advantage of the here and now until I lived in tranquilo Nicoya. As a person who valued timeliness, efficiency and instant gratification far too highly, it was really hard adjusting to this slower pace of life at the school. It was frustrating at first, but once I accepted this tico lifestyle, my world was forever changed. I absolutely adored the small town of Nicoya, Costa Rica. I lived in a simple home on the outskirts of town within walking distance of just about everything I could have ever needed. Nicoya is located on the western Guanacaste peninsula of Costa Rica, and is characterized largely by rural farm and beach towns with little tourism. The temperature in Nicoya was unbelievably balmy. 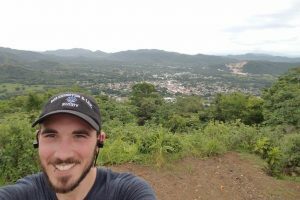 Everywhere I ventured, when friends that I made along the way found out I was living in Nicoya, the response was always about the ‘unbearable heat.’ The hot sun made me happy, though, and I loved the small-town atmosphere because I felt very safe and secure. Nicoya is a hidden gem buried deep within the middle of the green mountains and palm trees of the Guanacaste Peninsula. What have you learned at W&L that helped you in this endeavor, and what have you brought back to your life on campus? At W&L, I’ve taken countless classes that educated me tremendously on the various peoples, communities, and cultures of Latin America, and I found myself with a lot of random knowledge in the back of my brain from presentations I had heard, books I had read, and discussions with friends I had about our studies. This background from my education at W&L prepared me to be catapulted into a new country full of unknowns with confidence and success. It was beyond cool getting to actually experience with my entire being all that I had previously only learned in my brain. Back on campus, I’ve returned with a more tranquilo mentality. I continue to try and live my life remembering that less is more, family and friends are important, and every moment is valuable because in Costa Rica, my eyes were opened to true beauty and happiness, something that I could never have fully understood from a textbook or lecture, and I’m so grateful for the experience. While I have a lot of potential future plans, ideas I want to investigate, and paths that I am interested in pursuing, I can confidently say that I will be returning to Nicoya in the (hopefully) near future. I fell in love with life in Costa Rica, and I still talk to my host family and friends quite frequently. I loved teaching English in the elementary schools, and caught a vision of myself doing that for a year or two post-grad. This experience also reaffirmed my passion for the Spanish language and the study of Latin American cultures. 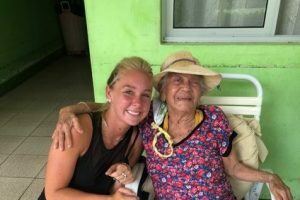 I knew upon my arrival in Costa Rica that I was doing something life-changing in that moment, and worthwhile in the long run.